“Whether You Do Or Weather You Don’t” (WUDOWUD) is an initiative that came about as a direct result of BlueLightCamp, which was this year held in Hampshire. WUDOWUD seeks to correlate environmental location based data with emergency response data to improve location planning for emergency resources. The project – led by Know Now Information – is being piloted in Hampshire, and uses the Hartree Centre (Science & Technology Facilities Council) supercomputer facility at Daresbury. Chris Cooper is co-founder of Know Now Information: a Hampshire-based business which specialises application design, sensor deployment, and big data analytics. Chris has previously written about how he came up with the idea. WuDoWuD was also recently featured in an article in Real Business which discusses how Know Now is leveraging big data to provide new services, and the opportunities this process offers small businesses. 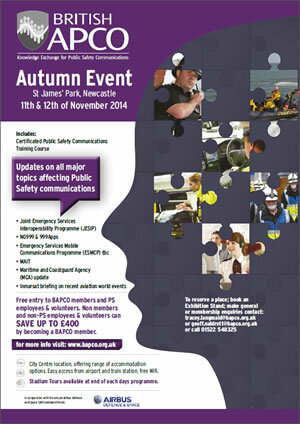 Co-founder of Know Now, David Patterson, and Mark Braggins (BlueLightCamp, Hampshire Hub Partnership and British APCO) presented an overview and update at British APCO‘s Autumn event in October 2014. The slides are included below, and there’s also an article about WUDOWUD in the BAPCO Journal: Networking the networks – engineering serendipity.